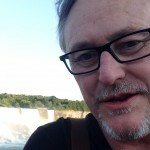 Quest for Meaning is a group blog of Unitarian Universalists. Our contributors are listed here. Rev. Meg Riley lives in South Minneapolis with too many cats, dogs, humans, and garden plants to tend well. 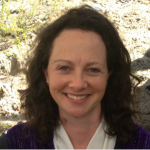 She is celebrating twenty years of ordained Unitarian Universalist ministry, primarily in roles related to some form of social justice or inclusion. 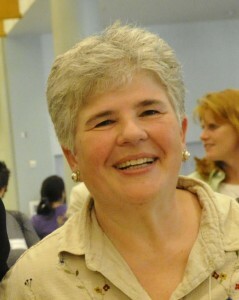 She is currently Senior Minister of the CLF, a 3500 member congregation without walls which serves a community including prisoners, armed service members, ex-pats, and many religious professionals—all people on the borders of religious community—and provides many online ministries through QuestforMeaning.org. Deanna Vandiver is a community minister in New Orleans, LA, serving as the Executive Director for the Center for Ethical Living and Social Justice Renewal (www.celjsr.org). Since she accepted the call to ministry, she has not experienced one boring day. Good music, good food, and good friends have sustained her through heck and high water and she has a practice of gratitude for the wonders of this life. Rev. 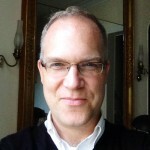 Jason Lydon is a Unitarian Universalist community minister in Boston, Massachusetts. He founded Black and Pink after a short 6-month prison sentence and has been working in the movement to abolish the prison industrial complex for over a decade. When not organizing with others to overthrow imperialism, white supremacy, capitalism, and heteropatriarchy you can find Jason watching far too many movies or riding bikes. Rev. 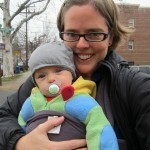 Heather Rion Starr is a part-time Unitarian Universalist minister and a full-time mama. A native Oregonian, she now lives in Washington, D.C., with her partner and toddler. Rev. 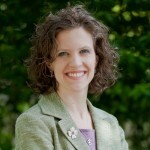 Heather is a life-long UU and a religious humanist. She currently coordinates the Coming of Age program at Washington Ethical Society and spends as much time as possible at the National Zoo. Rev. 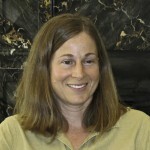 Megan Lloyd Joiner lives in New Haven, Connecticut with her husband. Having welcomed a daughter into their lives in November 2013, their two cats are coming around. Megan has served as a pediatric chaplain in New York City, a liberal religious advocate in Washington, D.C., and as a parish minister in a large congregation in West Hartford. A life-long Unitarian Universalist, she loves time in the pulpit, the classroom, the woods, and the water. 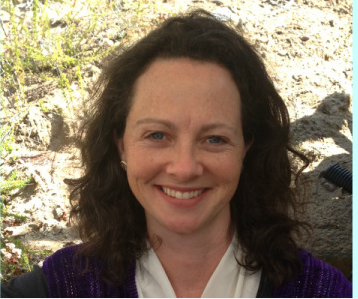 Amy Zucker Morgenstern has served the Unitarian Universalist Church of Palo Alto, CA since 2003, and also reaches out to the wider world with her blog Sermons in Stones, where she writes about religion and culture and posts a lot of her art in progress. Other sources of joy and meaning are reading, cooking, watching movies, talking with friends, enjoying (though rarely weeding in) her garden, and above all spending time with her wife and young daughter. Jake Morrill has served as minister of the Oak Ridge Unitarian Universalist Church since 2003. A graduate of the Iowa Writers’ Workshop and Harvard Divinity School, he is commissioned as a Chaplain (Captain) in the U.S. Army Reserve. 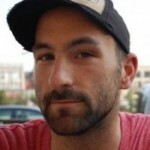 His book, Randy Bradley, was published by Solid Objects in 2011, and in French translation by joca seria in 2013. In his spare time, Jake enjoys jumping on trampolines with his kids. Christine Organ is a spirituality and inspiration writer who lives outside of Chicago with her husband, two sons, and two dogs. A pragmatic believer, faithful optimist, interfaith advocate, and hopeful romantic, she writes about seeking Grace in the everyday. She is in the process of writing her second book, tentatively titled “Grace, Wonder, and Everyday Miracles,” while her first book (a religious/spiritual memoir) awaits a publisher. 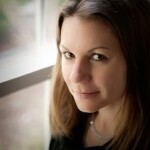 She writes on her website at www.christineorgan.com and is a regular contributor to Huffington Post. She enjoys cookie dough, strong coffee, and long naps. 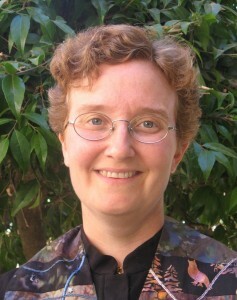 Eileen Raymond was raised in Unitarian churches in Massachusetts. 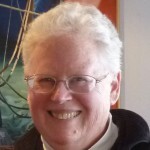 Currently a member of the Church of the Larger Fellowship and the UU Church of Canton, she has also been a member of UU churches and fellowships in North Carolina, Maryland, and New York. Retired as Associate Dean of Education at SUNY Potsdam in 2009, she now serves as a Research Associate at Nelson Mandela Metropolitan University in South Africa. Her writing and research interests focus on inclusivity in schools and communities. She and her wife make their home in Canton NY and also spend several months each year in South Africa. Susan Maginn is a UU minister, mother of two, married to one, all living under a fig tree is Portland, OR. In recent years, she stepped away from congregational leadership to be home with my growing kids. Since then, the family moved into a hexagonal shaped house in a co-housing community and a year later, got rid of all of our furniture so we could live in an RV in Pacific Beach, CA. Now, they are finally taming our feral family, getting the children back into school and Susan back into ministry. Susan runs, knits and plays the ukulele with impassioned mediocrity. It is so good to be among the joyful wilds of the CLF team!